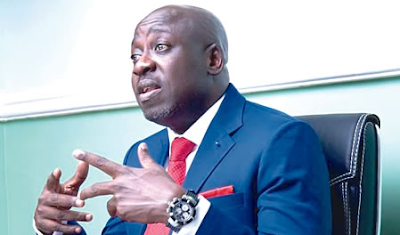 The Spokesman for the All Progressive Congress (APC) Bolaji Abdullahi, has revealed that Senator Dino Melaye, representing Kogi West has not informed the party about his defection. Abdullahi however stated that the party respects “his right of association” and wished him “Goodluck”. “Well, to the best of my knowledge he did not inform the party. I don’t want to speculate on the reason for his decision. “We would wish Senator Dino Melaye had stayed to allow the ongoing reconciliation efforts to progress, but we respect his right of association and wish him goodluck. “I am also aware that for it to qualify as defection he has to formally notify the Senate President, which as far as I know, he has not done,” he said. Senator Melaye was reported to have defected to his former party, Peoples Democratic Party (PDP) on Wednesday when he returned to the National Assembly.